Is It Safe To Take Nifedipine During Pregnancy? 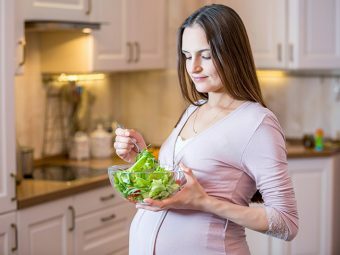 Nifedipine During Pregnancy - How Does It Work? Over the years, Nifedipine has been used as an effective drug to inhibit preterm labor without incident. If you are pregnant and have chances of getting into a preterm labor due to reasons unexplained, there are good possibilities that your doctor will prescribe Nifedipine to help you. Is nifedipine safe during pregnancy? Firstly, it is important to understand the uses and side effects of Nifedipine drug so that you are aware and alert while listing out any contraindications to your specialist, in case the drug is not suitable for you. Nifedipine is used as a tocolytic medicine at the onset of a preterm labor. It slows down the uterine contractions and delays the process. The drug is used by doctors in cases of sudden commencement of a labor before the due date when there is no real emergency. Nifedipine drug is a calcium channel blocker used to treat other ailments and conditions like high blood pressure and heart diseases. It is used for pregnancy on an exclusive basis in cases of preterm contractions and unwanted early labor. Nifedipine During Pregnancy – How Does It Work? Being a calcium channel blocker, Nifedipine delays or slows down the contractions in the uterus. A smooth muscle tissue like uterus needs calcium to contract and Nifedipine blocks the pathways, stopping the calcium from reaching the destination. This in turn relaxes the uterus and other muscle tissues of the body, putting a hold on the labor. Thinning of regular uterine contractions and dilation of the cervix to 4 centimeters, much before the due date. Onset of sudden labor, even while mother’s amniotic sac is not broken. Onset of labor when the fetus is not in distress and has time till the due date. Delay of labor for 24 to 48 hours to treat other underlying conditions such as corticosteroid treatment (lungs of the fetus are treated) or anticipated pre-term labor that needs time and space. When other medications like terbutaline (Beta-Sympathetic medicine) fail in helping with slowing down uterine contractions. When treatment with other drugs have been stopped due to unwanted side effects. Nifedipine is usually said to work well with emergencies showing little side effects. However, there are aftermaths to the drug like any other medication. Other than serious medical cases, Nifedipine is said to cause nil damage or side effects on mother or child. You may not experience any serious side effects due to Nifedipine drug unless you have other contradicting factors that come in the way of treatment. It will be useful to know the possible side effects and report the same to the doctor when they are seen or felt. Other than unforeseen preterm labor, Nifedipine will not be prescribed by your doctor or used during any phase of pregnancy. If you are likely to have a preterm delivery due to other medical reasons, paying attention to your health and well-being throughout the pregnancy period matters. Make sure you follow and intake all the medications advised by your doctor without fail. Drugs like Nifedipine are only used for extreme medical events and not otherwise. Talk to your gynecologist in detail if Nifedipine is considered for use during preterm labor. Make sure you list all the factors of your past medical history to rule out any contraindications further. Is It Safe To Take Zofran During Pregnancy? Is It Safe To Take Labetalol During Pregnancy? Is It Safe To Take Metformin During Pregnancy? Is It Safe To Consume Zoloft (Antidepressants) During Pregnancy? How Common Is A Missed Miscarriage And What Causes It?